Even though John and I had no guide for leadership in our home, we tried different things during different seasons. There was one season when we had family worship every morning with our toddlers. We’d set up small chairs in the living room and we sang kids’ worship songs together before John went to work. There were seasons of family devotions around the table. Seasons when we'd focus on character development—attempting to teach our kids about kindness and gentleness and love-your-brother-and-sister-ness. And, sadly, there were many seasons that we felt more desperate than dedicated. It got to the place where we were more focused on being dedicated than focusing on Jesus. 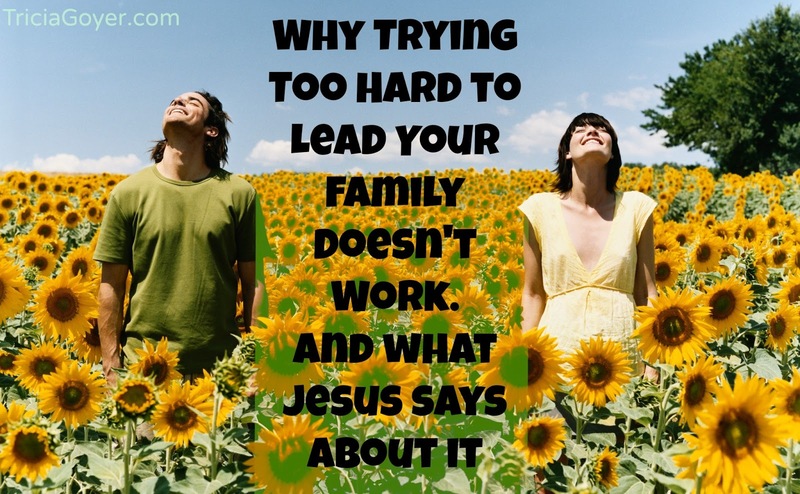 It's not a surprise that most families are in desperate need of a different leadership role model. In their (our!) growing up years, many parents today grew up in homes where there was single parenting, divorce, or a misunderstanding of family roles. We were the latch key children who spent the weekend at dad’s house. Some of our parents were too lenient, others too strict. Some of our parents didn’t give us a good example of what faithfulness and commitment was all about. For many of us, our parents’ quest for happiness led us wondering where we fit into the mix. But we have to try, don't we? If we don't know something to lead our kids to God than the kids will happily step forward to lead. Go to any park, or to Wal-mart, or even look around the church and you might see that sometimes the big people aren’t the ones calling the shots. The same is true in the home. Kids have their own televisions and computers so they can pick their entertainment. They have their own schedule of school and activities that keeps the family on the run. And in some homes meals are ordered up to each person's liking. No wonder parents feel they have very little influence. No wonder they're fearful of the teen years when kids can talk back and walk out. I loved that verse because God was talking about us—John and I. The Lord was our shepherd, and this verse reminded us that He was leading us while we led our little ones. 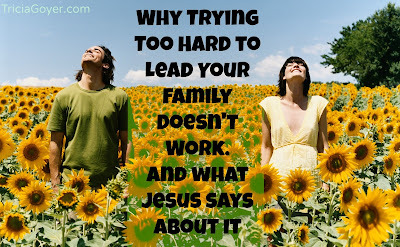 Tricia Goyer is a co-author of Lead Your Family Like Jesus.